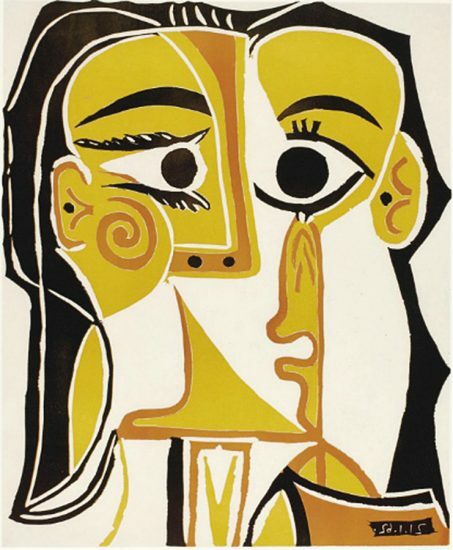 Pablo Picasso linocuts have consistently been some of his highest grossing works of art at auction. 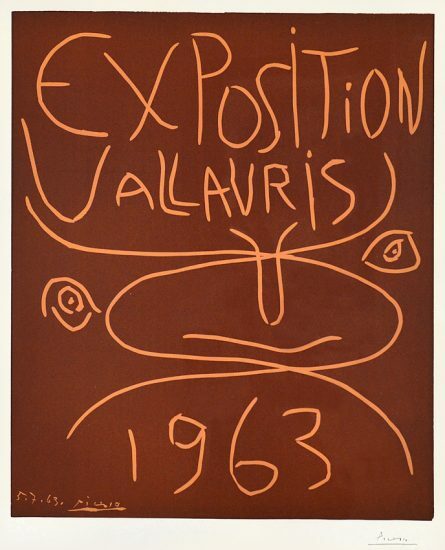 Three works in particular remain in the top for auctions in the past 10 years. 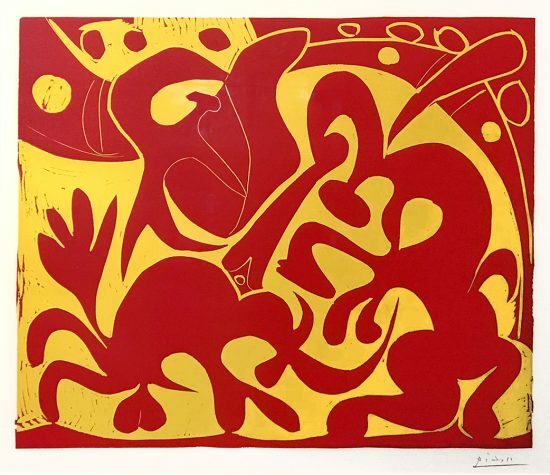 Picasso began an intense period of linoleum cuts from 1958-1963. Part of this change in medium from lithography and etching was circumstantial. 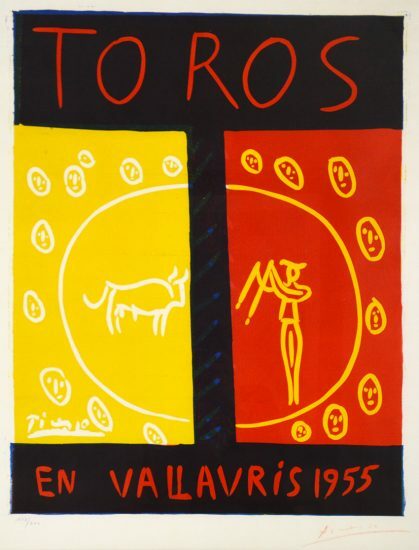 It was around this time that Picasso and Jacqueline Roque left Paris and moved to the French countryside. 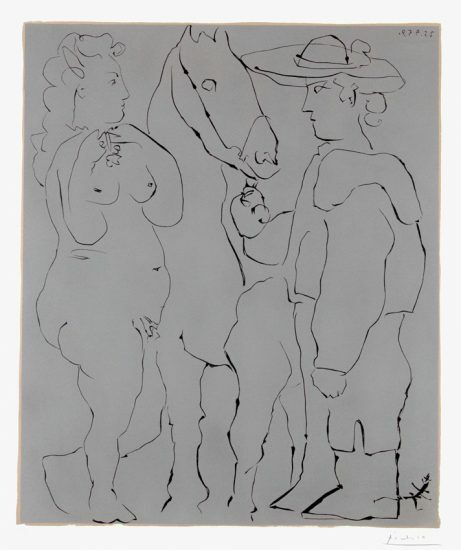 It would take days for plates to travel between Picasso and his printer in Paris, and this simply was not acceptable for Picasso. Instead, he turned to linocuts. One of his first and most exquisite examples of linocut is Buste de femme d’aprés Cranach le Jeune in 1958. 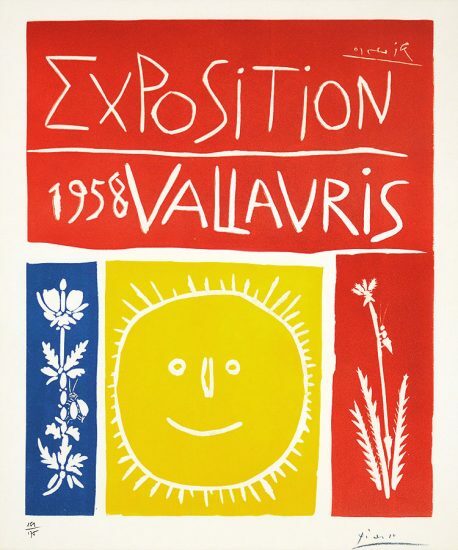 This work was created using 6 different color blocks, as was typical for linoleum cuts. The blocks would be printed on top of one another to create the final image. 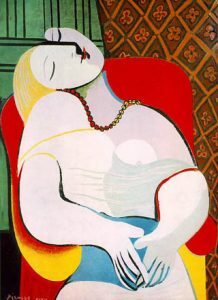 The result was stunning, but Picasso was not satisfied with the process. Buste de femme d’aprés Cranach le Jeune bursts with color and intricate patterns, showing the care that Picasso put into his works of art. In 2016, Buste de femme d’aprés Cranach le Jeune sold at Christie’s New York for $389,000. 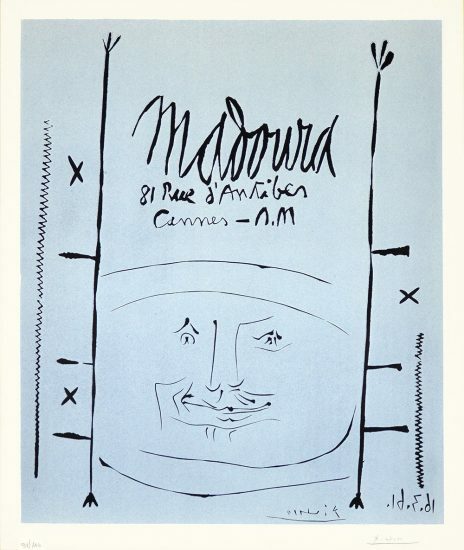 Picasso was at his finest in terms of innovation when he created Buste de Femme au Chapeau in 1962. What had bothered him before – printing so many blocks – he had now invented a way to get around. 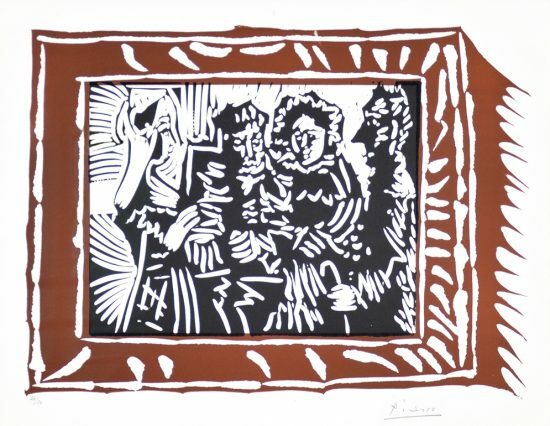 Instead of using multiple blocks, Picasso would use only one linoleum block and carve away at the same block, printing it multiple times, to get the desired image. He would begin with the lightest color and end on the darkest. 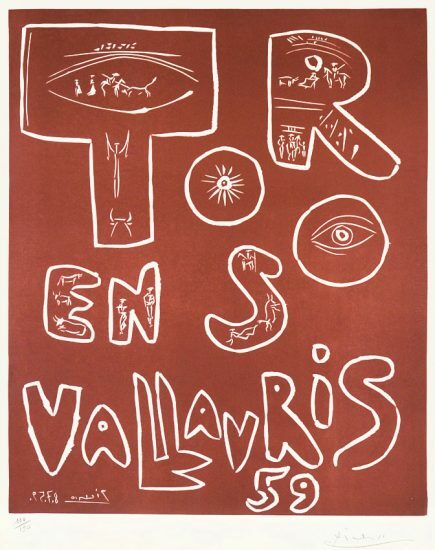 This showed immense foresight and planning on the part of Picasso in order to end up with the final image – but it was the type of experimentation that he loved. Buste de Femme au Chapeau, the face of his lover and wife Jacqueline Roque, sold for $461,617 at auction at Christie’s London in 2015. A portrait that is bursting with color, the subject matter and the technique also add value to this work. Finally, we have a truly masterful work. Picasso was no stranger to still-life, but Nature Morte au Verre sous la Lampe, 1962 is in a class all its own. The magnificent work is a still life of fruit and a glass on a table, but this is where the similarities end. Instead of the subtle, dim colors of the classic still-lives of the past, Nature Morte au Verre sous la Lampe, 1962 is created with bold shapes and brilliant colors of red, yellow and green – including a lot of black in the background. 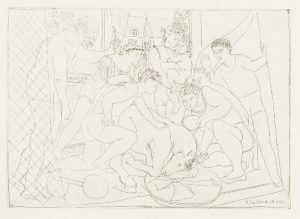 Picasso allows for this difference by placing a lightbulb above the scene, which sheds bold light in all directions across the page. 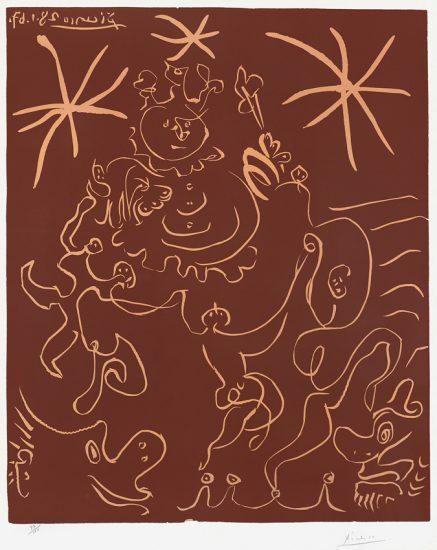 This work sold for $195,416 in 2015 at Christie’s London, and it is no wonder that it is such a highly lauded and desired work of art.